As we mentioned earlier this month, SmartMusic has recently added Sound Percussion to the list of methods included in the SmartMusic Repertoire library. Part of the Sound Innovations family, Sound Percussion is a comprehensive percussion method that provides a clear progression of notes, rhythms, and skills that can be used for group or individual lessons. To learn more about this new method, we went right to the source; co-authors Chris Bernotas and Dave Black. How did the method come about? Dave: I had been asking myself for a while why there were so many class guitar and piano methods on the market but not a class percussion method. I started doing some research and asked some of my colleagues, friends, and other teachers if they knew of any and, if not, why one hadn’t been written. Because I knew that a method of this type would be targeted more towards the school and college pedagogy market, I asked Chris if he thought this would be of interest to him and school band directors. He thought it was a good idea, jumped on board as the co-author, and put together a focus group of teachers/colleagues to help us brainstorm ways in which they could use a publication of this nature and, what they thought should be included. Chris: I think the reason there hasn’t been a method as comprehensive as Sound Percussion is because it was such a daunting challenge. Dave and I took that challenge head-on and were excited to solve the problems that designing an instrument-specific method brought about. As with the entire Sound Innovations curriculum, Sound Percussion was teacher driven. We had plenty of questions, as did the teachers we spoke with. We are incredibly proud of how the method turned out and are looking forward to hearing from directors about the exciting ways in which they are using it in their programs. Why should I use a percussion method? I already use “Sound Innovations,” isn’t that enough? Dave: The pacing of a band method is often based upon the wind instrument development. As a stand-alone method, Sound Percussion allows the teacher to set the speed of the curriculum based upon the percussion student’s needs. In particular, mallet-note reading and performance are introduced in a unique and revolutionary way by introducing only two to three notes at a time, each reinforced with interesting and engaging exercises. This is a slower and more methodical pace than that of a standard method. Chris: We gave a lot of thought and spent much time researching band methods and their approach to percussion. While the correlated band method books do a great job overall, we wanted to provide a resource that would put the percussion student and their development first. So, while the band method percussion books are very important, Sound Percussion will help build student confidence while continuing to develop percussion-specific skills. What sets “Sound Percussion” apart from other methods? Chris: Having a universal and limitless application for the teacher was one of our main goals in writing this method. We didn’t want to tell teachers how to teach, we wanted to provide a tool that is a guide to support their goals in the classroom. While there are very specific explanations and skill sets, the approach, pacing and sequencing is up to the teacher. Because each book works as an independent text, we are giving teachers the opportunity to design a lesson that isolates a skill on snare drum the first week, and one for timpani the following week. For the timpani lesson, instead of one student playing and the others watching, all students can be involved, as every exercise includes all books. Because Sound Percussion is flexible, teachers can use it in the most appropriate way that best fits their students. Can you tell us a little bit about the different sections of the book? Dave: There are six main sections included in each book: Sound Rhythm, Sound Meter, Sound Rudiments, Sound Rolls, Sound Effects and Sound Performance. Each section is divided into levels that follow a logical progression for clarity and maximum skill development. The mallet book, however, is more sequential by nature of the note introduction sequence. Chris: The books are grouped by skill so teachers can design the course map and sequence they feel is most appropriate for their students and/or program. If teachers want to focus on one area of development with students, they can easily access particular exercises, rather than digging through to try and find which exercises are appropriate. Having the books in sections also allows for easy differentiation between students and groups with different strengths and weaknesses. Teachers can easily find the most suitable exercises for the students they’re teaching and develop lesson plans to support their growth. 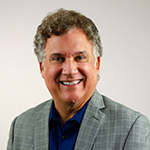 Dave: The benefits of using a “backward-by-design approach is that the goals are first identified, and then followed by logically-designed exercises with obtainable steps that will lead students toward achieving the goals. This methodology is particularly helpful for mallet note recognition and snare drum rolls. Chris: The conversation about our approach to learning the notes on mallet instruments was a guiding force in deciding on a backward-by-design method. When looking through many mallet books and realizing how much information was on a page it became more clear to us. No wonder percussion students come to middle or high school and say, “I can’t read notes.” They give up before they even start because it is so intimidating on the page. So, with that in mind, we decided to start with just a couple of notes. Students start with F and G and play several exercises with only those notes, then we add A, more exercises, then Bb and so on. Once all the notes of the F Major Scale have been introduced, students see the scale in its common form and in order. Then we continue to reinforce the key. By introducing the notes little-by-little, students might not realize just how much they learned and will not say, “I can’t read notes,” but will be excited that they are, in fact, reading music, including the notes. What are some of the unique ways in which educators can use this method in lessons and/or a classroom? Dave: The beauty of the method is that lessons can focus on any single instrument with all students or in any combination. The book was written so teachers have the flexibility to plan and teach the skills appropriate for their particular students. It was designed with group lessons in mind so students can learn the skills they’ll need in order to become well-rounded percussionists on every instrument. Chris: Gone are the days of one student playing timpani while eight others watch! Teachers can set the lesson goal and rotate positions so each student has meaningful instruction. If your teaching goals are focused on the timpani for a particular lesson, now you can give every student a chance and stay actively engaged the whole time. The same concept is true with the mallet parts. Since the exercises have a fair amount of unison rhythms (both the Sound Concept and Sound Reinforcement sections are ensemble unison rhythms), students can focus on learning their new notes with confidence and with the support of the rest of the ensemble. I have found that many students are nervous or intimidated by mallets, until they actually get past that and learn to play. Then they love mallets. One of my personal goals was to help alleviate student fear so they’re able to find their love of the mallet instruments more quickly. If I’ve never led a percussion ensemble before, could I do so with this method as my guide? Dave: Absolutely! These books are a great way for teachers to get their feet wet if they’ve never been involved with percussion ensembles before. It’s also a great introduction and training ground for students, as many of them will go on to study music at the university level where the percussion ensemble pieces will be more diverse and advanced. Chris: You definitely can. While the book is grouped by major concepts (Sound Rhythm, Sound Meter, Sound Rolls, etc.) each of the exercises work as an ensemble. The shorter duration of the exercises offers a great opportunity to learn ensemble skills, as well as instrument-specific skills. Particularly, the Sound Combination exercises will provide an opportunity for you to teach students HOW to play as an ensemble. Unlike the Sound Concept and Sound Reinforcement exercises which are in unison, the Sound Combination exercises feature more independent playing and are not in unison. Students will develop their critical listening skills as they work through these exercises which will hopefully lead to that excited feeling you get when performing a piece well. The last section of the book, Sound Performance, features two full-length percussion ensemble pieces. One is an arrangement of The Stars and Stripes Forever and the other is an original piece called Engage. I am a reeds-playing band director with no experience with percussion – can I use this method? If so, how will it help me and my students? Dave: Because of the clear explanation of skills (duple and triple rolls, multiple bounce and open rolls, dampening, accessory instrument technique, etc. ), and the availability of step-by-step MasterClass video demonstrations, non-percussion specialists will now be able to approach topics with more confidence. The Teacher’s Score also includes an Appendix at the back of the book with sections on how to choose, change and tune drumheads, as well as a section called Sound Advice: Helpful Hints for the Director. Chris: This book was designed with percussion specialists, as well as non-specialists in mind. Keeping the non-specialist in mind, we wanted to ensure that we not only introduce and reinforce skills but also the application of some the more difficult concepts to teach. For example, when to use a duple-based versus a triple-based roll. Some teachers may say, “What do you mean? What is a duple- or triple-based roll?” And, if you have that question, that is fine! We not only show you and the student what and how to produce them, but when and where to apply them. Because this is an important skill, we encourage you to personally work on the exercises as well (yes, you, the teacher…you can do it)! With the help of the video explanations, we are certain you’ll be excited to share your own skills with your students. How do I integrate this into my rehearsal? Chris: However you think you should! I would spend some time studying each student book to become familiar with the progression of exercises in each section. We followed a very logical progression with both the rhythmic and skill development throughout the method. I would also spend time watching the in-depth MasterClass videos on SI Online as the description of the skills and concepts are so well done by the artists, and the performance of the exercises are fantastic and inspiring. Once familiar with the book material and supporting videos, make a plan and dive in! It’s just like anything else you want to implement in the classroom – do some score study, with several cups of coffee, make a plan and go for it. See how it works and then revise if necessary. This is what makes teaching so exciting. Sound Percussion is now part of the vast SmartMusic Repertoire Library. Access to this content is more affordable than you might think. Request a quote today. Percussionist/composer Dave Black received his Bachelor of Music in percussion performance from California State University, Northridge. He has performed and recorded with leading entertainers around the world. More than 60 of his compositions and arrangements have been published by the world’s top music publishers. He has received numerous awards and commissions, including 26 consecutive ASCAP Popular Composer Awards, two Grammy participation/nomination certificates, the Percussive Arts Society President’s Industry Award, a Modern Drummer Readers Poll award, two Drum! Magazine Drummie! awards, and a certified Gold Record award. Dave is also the author or co-author of 30+ percussion books, including Alfred’s Drum Method and Sound Innovations for Concert Band. 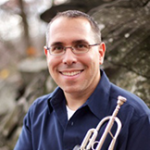 Composer, conductor, clinician, and educator Chris M. Bernotas has taught instrumental music at New Jersey’s Mountain Lakes High School for more than 20 years. An active composer and arranger of concert band music, Mr. Bernotas is published with Alfred Music Publishing, Daehn Publications, TRN Music Publishing, Northeastern Music Publications, Carl Fischer Music and Bandworks Publications. His music has been performed at the Midwest Clinic and has appeared on J.W. Pepper’s Editor’s Choice list and numerous state lists. 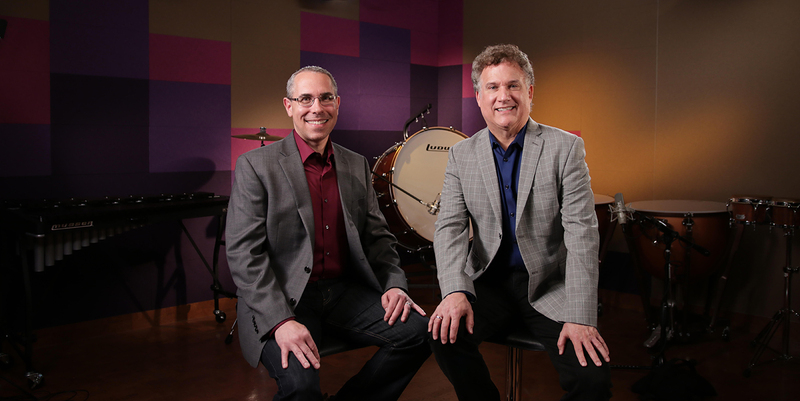 Mr. Bernotas is co-author (with Peter Boonshaft) of Alfred’s Sound Innovations: Ensemble Development series. Chris is also an active guest conductor and presenter at clinics and conferences.